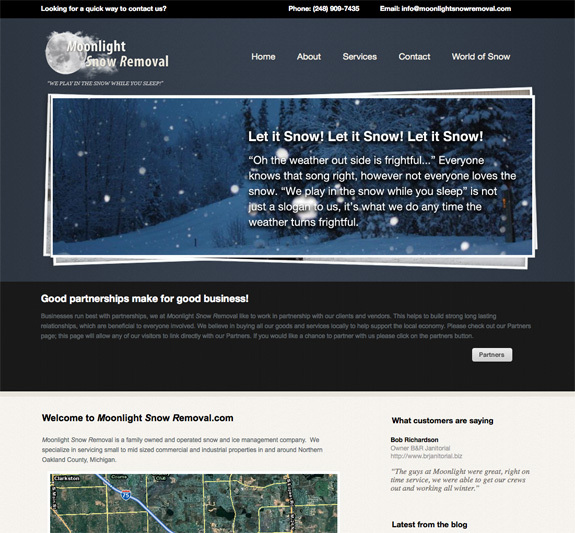 Moonlight Snow Removal is a family owned and operated snow and ice management company. MSR specializes in servicing small to mid sized commercial and industrial properties in and around Northern Oakland County, Michigan. Matt at Dynamic Media handled every aspect of setting up my website, I love the fact that I can change content anytime or anywhere I want even on the go. Great product, awesome service and knowledgeable staff make a winning combination for my business.